Interstate Construction and Development Company provided construction management services for this $2,500,000 million dollar showroom expansion. The construction of the 20,000 s.f. 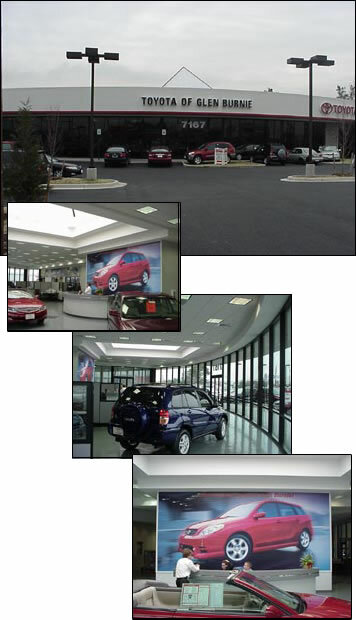 showroom facility and customer service center was completed in 6 months. Demolition of the existing service center allowed the expansion to be connected to the existing service center without disrupting the service bays during business hours. The new construction consisted of all new interior finishes, storefront system, epoxy flooring, atrium skylight, millwork, mechanical, and electrical systems. In addition, the existing service center flooring and wall motif were upgraded to match the new finishes, also without Brown's mechanics missing any service time.